One of the only cannabis dispensaries licensed to distribute in the state of New York has announced that it will start delivering in the next 90 days. Vireo Health, one of the only cannabis dispensaries licensed to distribute the substance in the state of New York has announced that it has been given the go-ahead to start delivering cannabis to patients in the next 90 days. Vireo Health – located in Westchester County just north of New York City – announced on Wednesday that they had been cleared by the New York State Department of Health to begin its delivery program. According to the company, the new delivery system was designed with input from the security and medical fields. The Health Department announced in August that it would ultimately clear the way for home delivery as part of an effort to broaden the state’s year-old cannabis program, and recently stated in a press release why they found the delivery program to be necessary. This is another step in the department’s implementation of the recommendations in the two-year report on New York’s medical marijuana program, in recognition of the fact that, in many cases, patients with serious health conditions cannot leave their homes and have difficulity accessing medical marijuana products. The state’s medical cannabis program was first implemented in January 2016. Vireo Health also operates dispensaries in White Plains and Queens, both of which are also in the immediate vicinity of New York City. The company is one of five in New York State that was permitted in the summer of 2015 to grow and sell medical cannabis. Vireo Health CEO Ari Hoffnung said in a press release that the company’s decision to begin home deliveries was in response to consumer demand. New Yorkers have increasingly come to expect home delivery and we plan on leveraging ‘last mile’ supply chain technologies to meet and exceed patient expectations. Vireo’s chief medical officer, Dr. Stephen Dahmer, said that home delivery would also serve to widen both the company’s influence and its ability to serve patients. Home delivery will not only help us to improve upon current services, but also expand our reach to those patients who are unable to travel. Our team is excited to provide this service to all of our existing patients, and to have the opportunity to meet new patients in other parts of the state. Patients and their family members who are seeking updates about the home delivery program may sign up at vireohealthny.com. New York state does not currently allow for the legal use of recreational cannabis. 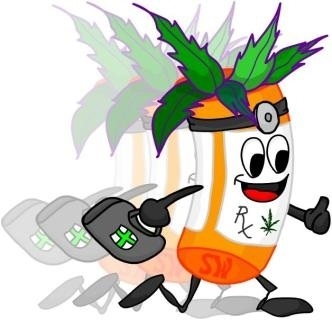 As for its regulations regarding medical cannabis, the substance may only be used to treat ten select medical conditions, including HIV/AIDS, cancer, epilepsy, Parkinson’s disease, Multiple Sclerosis, and Huntington’s disease, among others. Home-growth of the substance is as yet restricted, though Vireo Health’s home delivery program is set to begin sometime in the next 90 days.